I think the ender dragon id has changed in 1.11. In 1.10.2 it should be EnderDragon. could you add in a config option for witches to drop a bigger variety of potions and how often? i like your mod and all but please fix the horse mob way to Meany spawning and seems to ignore all configs for horse mob you have they Do not dye in sunlight even tho its set to. also i see you think that the horse not dieing is fixed i can say as i have it on a server with my modpack it is not fixed. It's fixed in the latest version! Sorry for the long delay. Hey awesome mod man, I love how customizable it is. I do have a few issues i've encountered though, when I made zombies have 25% more hp, zombie villagers still had 20, instead of 25. Also, even thought I have every overworld mob set to be 60% rarer, it still isn't reducing the amount of hostile mobs spawning. Another issue I noticed with zombie villagers is when I set zombies to 100% rarity, zombie villagers are still spawning. 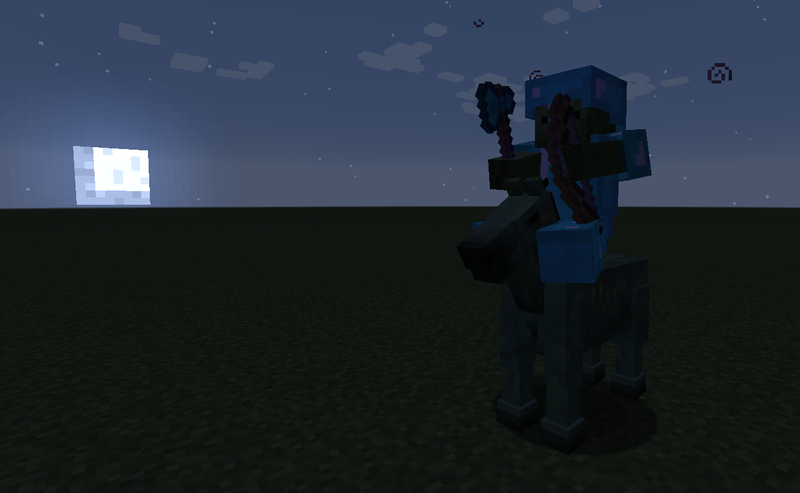 And I can't get skeleton and zombie horse to burn in daylight. Zombies and pigman will spawn with a bow, but can't use it. Is your mod adding its own dungeon world generation? I keep finding these stone brick stairwell structures filled with zombie spawners. I really hope thats not the case, because there is no config option to turn them off, and I already have a very specific worldgen setup. Nope. Rough Mobs doesn't add any world gen.
Loving this mod as always. Would looooooooooove it if you added the ability to add a range of values for stuff like speed/attack so you could have some zombies that are just faster than others, some slower and beefier, etc. Cheers!!!!!! i try to find your github page to post a bug report but it does not look like you have one so here http://pastebin.com/dFUJC177 its a server crash during a blood moon but it looks like it may have something to do with your mod.